If you’re a keen 4WD enthusiast, or maybe just bought your first 4WD, the Sandstone Wonders region has something to suit everyone’s offroad tastes. The region has everything from hard-core rugged 4WD tracks, to leisurely family-day-out style drives. So, get the 4WD in gear, and get going! Located just west of Queensland’s Capricorn Coast in the Banana Shire, the scenic and stunning Sandstone Wonders region is easy to get to. A leisurely half-day drive north-west from Brisbane, or just over an hour’s drive south-west from Gladstone – however you get there, it’s definitely worth it. Bring your camping gear and make a weekend of it. Ideally 4-5 days or more is best to make the most of your visit – to get in as much offroad action as you can. 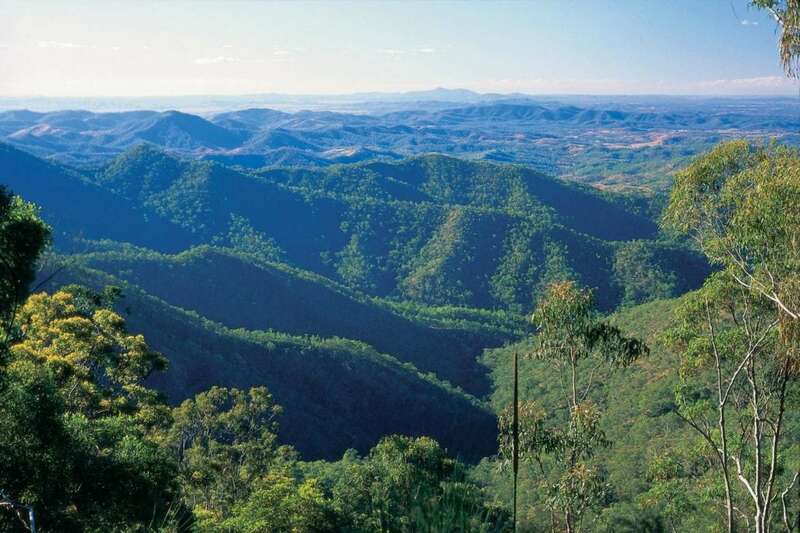 The Sandstone Wonders region is named after the magnificent backdrop of ancient sandstone cliffs and 25 mountain ranges scattered throughout the region, and is often referred to as ‘the roof of Queensland’ due to the region’s height above sea-level. Apart from the craggy and rugged terrain of the mountain ranges, you will also find verdant green valleys, crystal clear rivers, lakes and creeks, and lush open pasture land. Plenty of opportunity for exploring off-the-beaten-track, and onto unsealed roads. Note: please ensure your respect private property. Don’t venture onto private land unless you ask for permission. 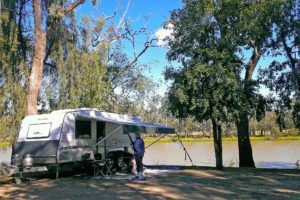 Advance bookings for camp groups and caravan parks are recommended. Expedition National Park offers a range of 4WD experiences, across the three main sections of the park – Robinson Gorge, Lonesome and Bielba. Some parts of the park are only accessible to 4WD, and is a definite no-go zone when wet. For some extreme 4WD action head to the Robinson Gorge (with some quite rough spots), or to Bielba, the most remote section of the park. Lonesome is slightly more accessible, and suitable for all vehicle types in dry weather. Bush camping is available in the park, but bring all supplies with you. The facilities are very limited; with just toilets and picnic tables in some spots, and there are no showers, BBQs or water. 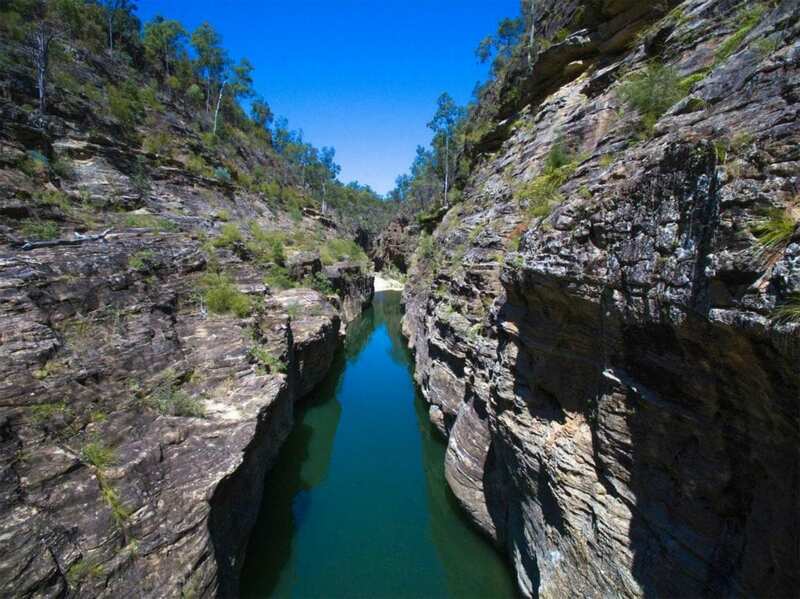 Both the Robinson Gorge and Bielba sections offer dramatic scenery, sandstone cliffs and gorges, lookouts, exceptional bushwalking, and quiet away-from-it-all camp sites. The park is home to a wide variety of native flora and fauna. More about Expedition National Park. For another quite challenging 4WD adventure, head to the Flagstaff Hill/Ghinghinda Scenic Loop section of the Isla Gorge National Park. 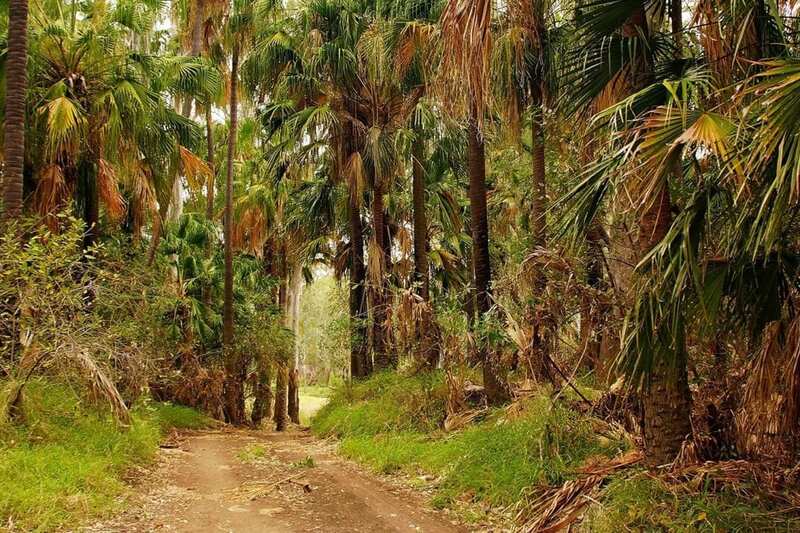 The loop is a 200km 4WD track, suitable only for experienced off-roaders, and only accessible in dry weather. The national park scenery along the way is magnificent, and includes views over a series of natural lakes. The park features sandstone-coloured cliffs and gorges, and wildlife includes grey kangaroos, whiptail and Herbert’s rock wallabies. Herbert’s rock wallabies are only found in this location, so keep your eyes open for them – they are hard to spot, but can be seen grazing if you’re lucky. There is a spectacular camping spot right near the edge of the Isla Gorge cliffs. More about Isla Gorge National Park. Note: check the weather and roads before starting out on the Ghinghinda loop. The loop road is only suited to high clearance 4WD vehicles and dry weather. Also, keep away from cliff edges – they can be deceptive and are often closer than you think. Sandstone is brittle and the edges can crumble easily. The Razorback Track is a definite 4WD experience not to miss! For self-sufficient campers and 4WD enthusiasts (with high-clearance vehicles), the Razorback Track is a dirt track taking you up along the rugged ridgeline of Kroombit Tops National Park, across rivers, ravines, and into the wild country of the tops. 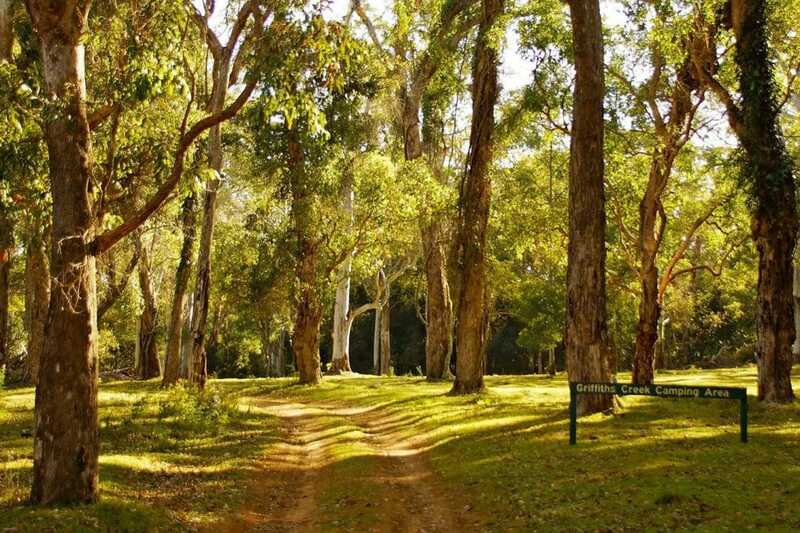 The Razorback Track can be completed in a day; or stay overnight in one of the park’s three designated camping spots – BYO all camping equipment, there are no facilities provided except for fire rings for camp fires. Don’t miss the 1945 crash site of Beautiful Betsy, the ill-fated WWII Liberator bomber. Take the short walk from the Loop Road to the site, the story of the bomber is sign-posted along the track. 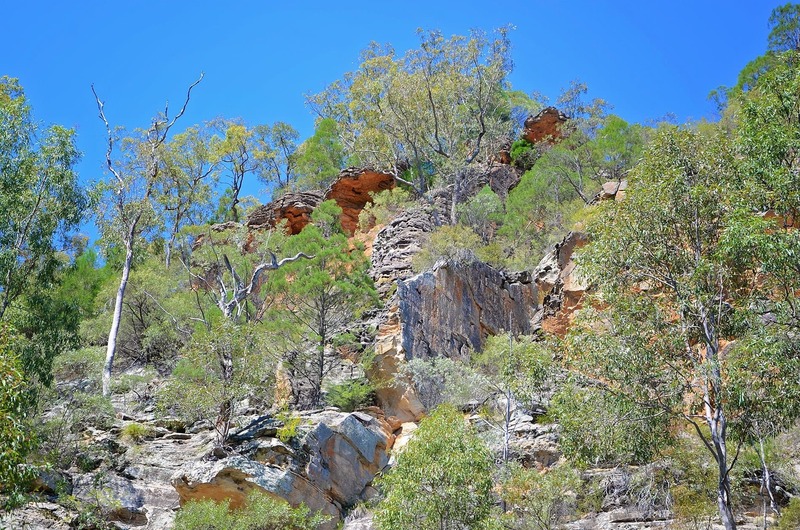 More about Kroombit Tops National Park. For more details and videos on the Sandstone Wonders’ National Parks. A local’s tip for a more leisurely scenic 4WD track, not requiring serious 4WD skills is the Inverness Road. Head north-west from Biloela on the Jambin-Dakenbah Rd, turn right into the Callide-Kilburnie Rd, left onto the Argoon-Kilburnie Rd, and then right onto the Inverness Rd. Follow the Inverness Rd, an attractive drive, passing the old Boundary Hill Mine with views to Mt Rainbow, meandering along the Bells Creek and Collards Creek, through to the Dawson Highway. You can then continue on the Dawson Highway north through to Gladstone, or a short drive south back to Biloela. 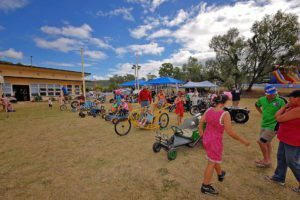 Allow 3-4 hours at a leisurely pace, with breaks or a picnic, to complete the loop from Biloela. 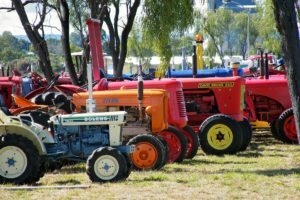 Another locally-suggested good 4WD destination is the series of tracks leading off from near the Callide Dam, just north-east of Biloela along the Biloela-Callide Road and Coal Road. This gives options for both easy, and more hard-core 4WD-ing. Head past the Callide Power Station, over the first grid. The tracks on the right-hand-side of the road are more hard-core for serious 4WD-ing; and the road to the left up to the Callide Mine Lookout is more suited for those without advanced 4WD skills or experience. If you want a longer drive, take the Calvale Road around to Valentine Plains Road, and then loop back to Biloela. 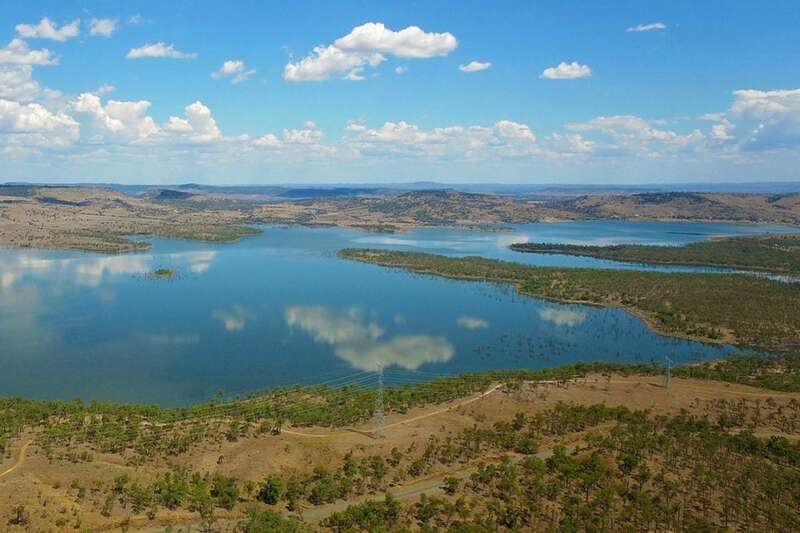 These can be done as a half-day drive, or stop at the Callide Dam recreation area for a picnic or BBQ lunch. If you’re heading towards the south, detour via Monto to the Kalpowar State Forest. The state forest offers unsealed forest tracks great for getting offroad without serious 4WD skills needed. 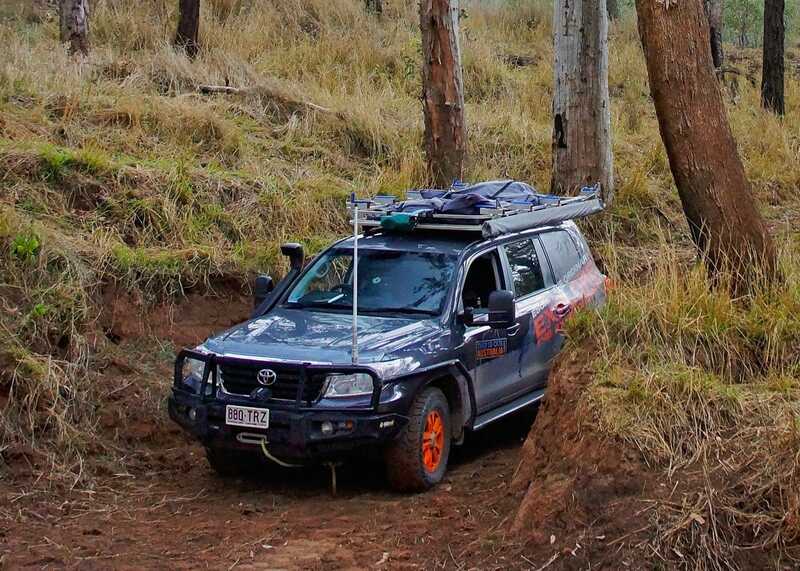 The picturesque eucalypt and hoop pine forests provides beginners, or less experienced 4WD-ers, the opportunity to test and improve their off-road driving skills. Camping is available; and the gravel road access is suitable for all vehicle types. 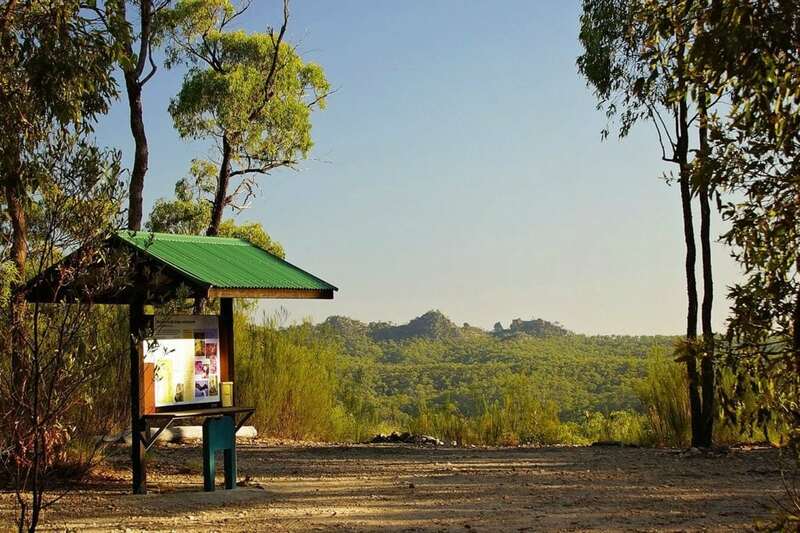 Most campers visiting the Sandstone Wonders region are self-sufficient, with BYO camp gear, cooking facilities, tents, campers, water and fuel, emergency supplies, and power supply. Camping spots are readily available in the region, but facilities are often limited. If you are planning to camp in a designated camp ground or National Park ensure you book and obtain the necessary permit. 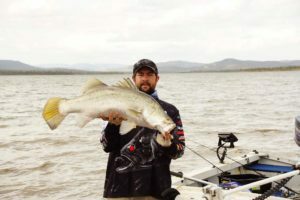 Whether you’re a keen fisher, or throwing in a line for the first time, the Sandstone Wonders is a fishing mecca – so bring your fishing gear with you too. For a list of the best local fishing spots click here. 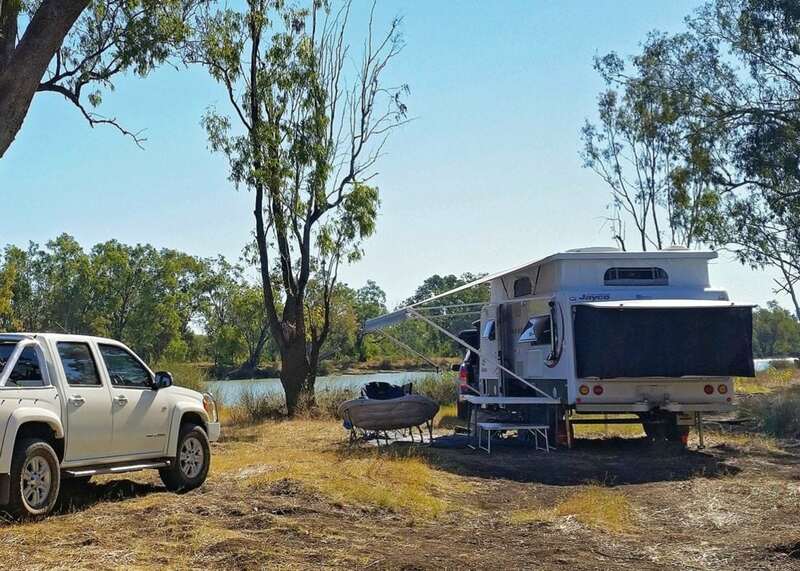 For beginners, the Callide Dam near Biloela is an ideal spot to start. The dam also has excellent recreation facilities, BBQs, picnic area, boat ramps, and toilets. You can catch cod, saratoga, golden perch (yellowbelly), silver perch, barramundi, or red claw – a type of crayfish which is a popular local delicacy. If you’re new to 4WD-ing, or thinking of buying one, here’s a useful website offering tips and advice. And more locally, Dave from Offroad Ready and the Australian Offroad Academy (based at Hervey Bay) offers 4WD courses and training, including a fantastic ladies-only 4WD training experience.